This really is the most adorable sewing set you could ever want. 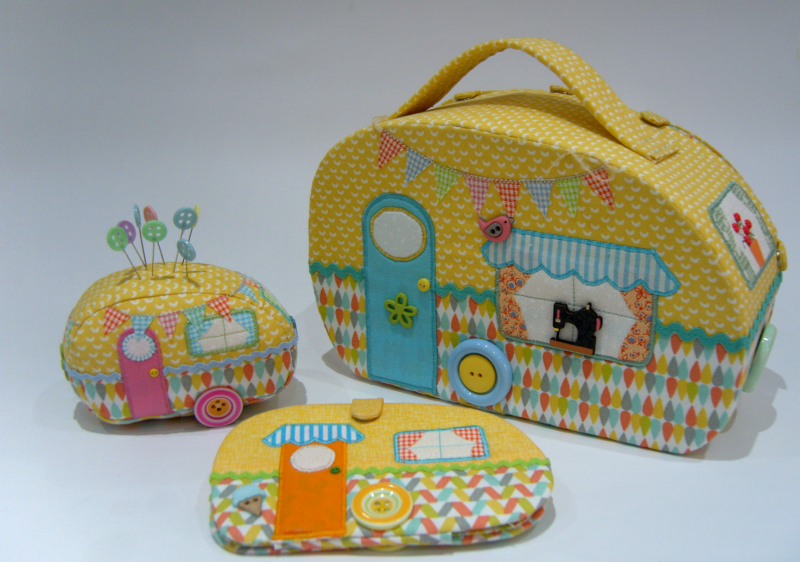 The big caravan opens up to hold all of your sewing notions in it, whilst you have a beautiful baby caravan pin cushion and needlecase to go with it. Designed by Gail Penberthy, her attention to detail is extraordinary and you can have so much fun embellishing it too. The large caravan measures approximately 9 x 7 x 3 1/2 inches, the neeedlecase is 5 x 3 inches and the pin cushion is 4 x 3 x 1 1/2 inches.